to add meaningful value to a client’s business. Running a successful business involves an immense amount of time and effort. Between effective operational management, labor and employment issues, marketing and administration, it can be hard to carve out a place for timely and in-depth financial oversight from the nuts and bolts of basic bookkeeping to high-level financial analysis all while keeping up on time-saving efficiencies created by new technology. 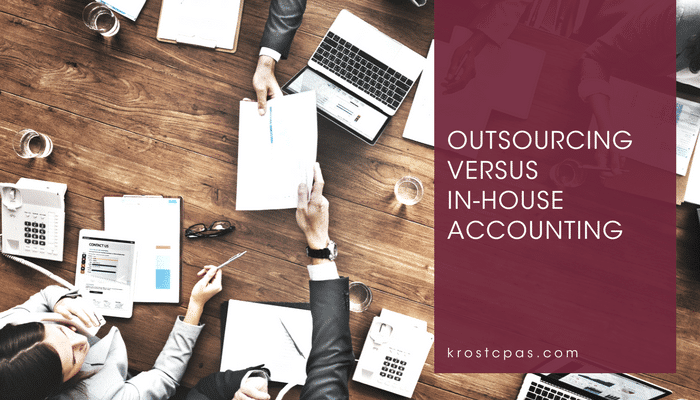 Our approach is to be a trusted advisor to our clients in whatever accounting capacity they need, from full charge bookkeeping and cleanup to financial reporting and management consulting. We strive to utilize our expertise in ways to add meaningful value to a client’s business. Our services consist of preparations and compilations which can be prepared monthly, quarterly, or annually depending on your business needs. We work with you to maintain the business records and provide analysis to allow you, the business owner, to manage the operations and continue to grow your business. We assist with preparing a cash flows statement and review with you how money has been spent. We can review the cash flows statement for trends and based on our expertise offer solutions for cost-cutting techniques. We have the expertise to prepare reports that will satisfy your reporting requirements and show the beneficiaries and authorities that you have faithfully carried out your duties. Our professional team will discuss with you the type of services you want and customize our approach. We offer Bill Pay Services and Cash Management. 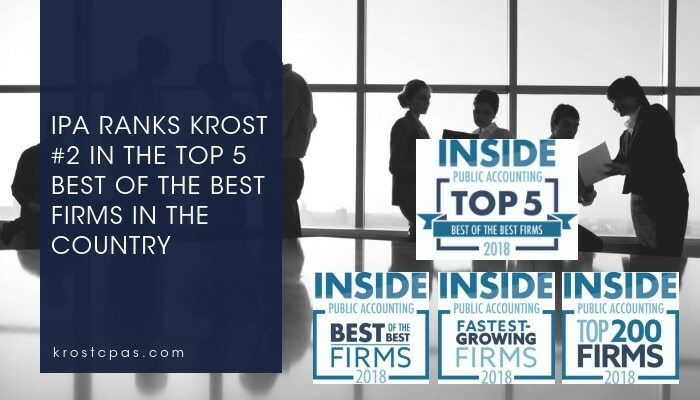 Let KROST be your partner in developing proper and easy to follow policies and procedures to help ensure each accounting element of your business is running smoothly and effectively. 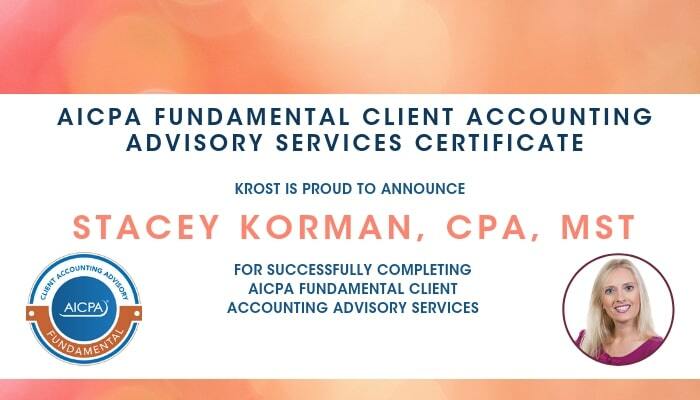 Non-Disclosure Compilations and Preparations can be time and cost-effective alternatives that give management a window into their company’s financial operations as well as an opportunity to review data with qualified KROST professionals. We offer a variety of training resources in QuickBooks Online, Desktop, and Enterprise to help our clients with all stages of their QuickBooks journey. When starting a business, you are responsible for all aspects of the business, from operations, human resources, marketing and accounting. We can work with you to provide transaction support as well as provide analysis that you can use in the management of your business. We have experience from the review of the working capital calculation to submitting final filings for sales tax, payroll tax and income tax in all 50 states. 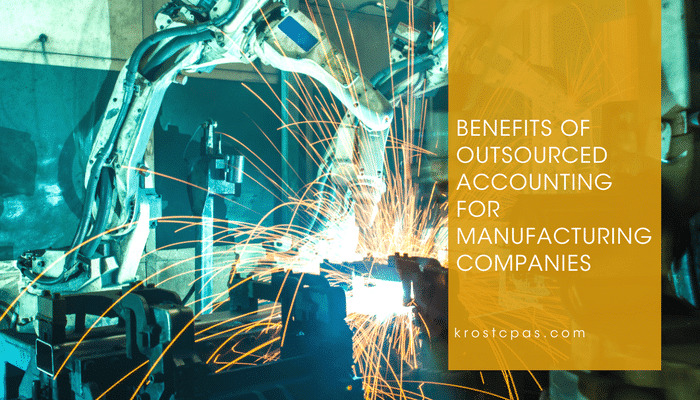 Outsourced accounting will allow you to focus on business growth, while we will provide the financial data you need. We will provide analysis and details regarding the management of cash and reporting to help you manage your business at a glance. Any business must file multiple tax forms, and we are here to help you through the process. 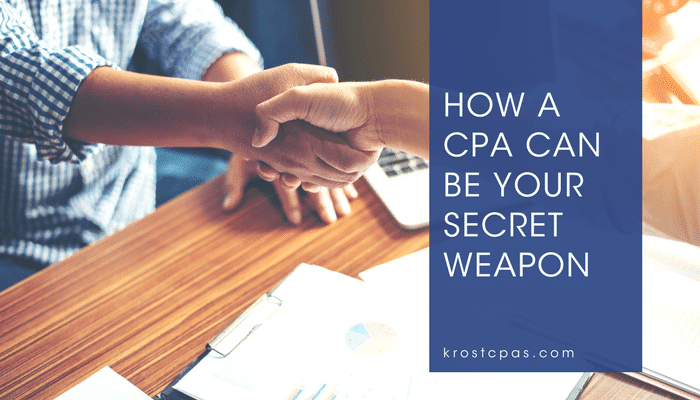 These include sales tax returns, personal business property tax returns (Form 571-L), annual tip reporting returns (Form 8027), and city business licenses, just to name a few. Questions in regards to accounting? Our dynamic team of experts are here to help. Contact us today to schedule an appointment. 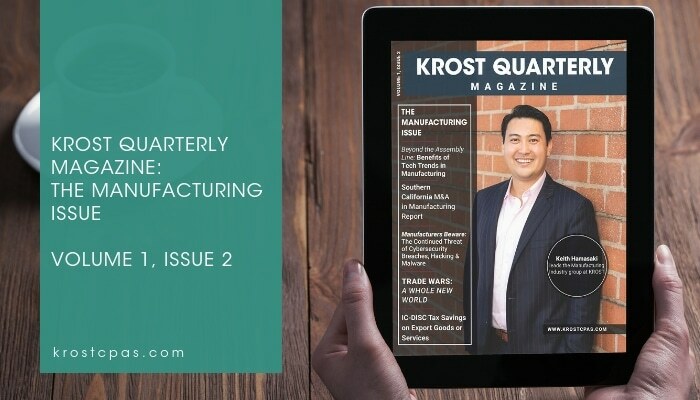 Here at KROST, we understand your business and the challenges you face in the current landscape. That is why we use a combination of strong teamwork, communication, technology and professional skill to help you with all your accounting needs. We do what we do because we understand that businesses have needs that can be difficult to meet with internal resources and expertise and that this often requires advice and guidance from trusted external sources. We pride ourselves on maintaining close client connections, being proactive on client needs and fostering and developing talented professionals who take pride in being a trusted resource and in providing high-quality service. We place a strong emphasis on fostering a long-term relationship with owners and all levels of management.